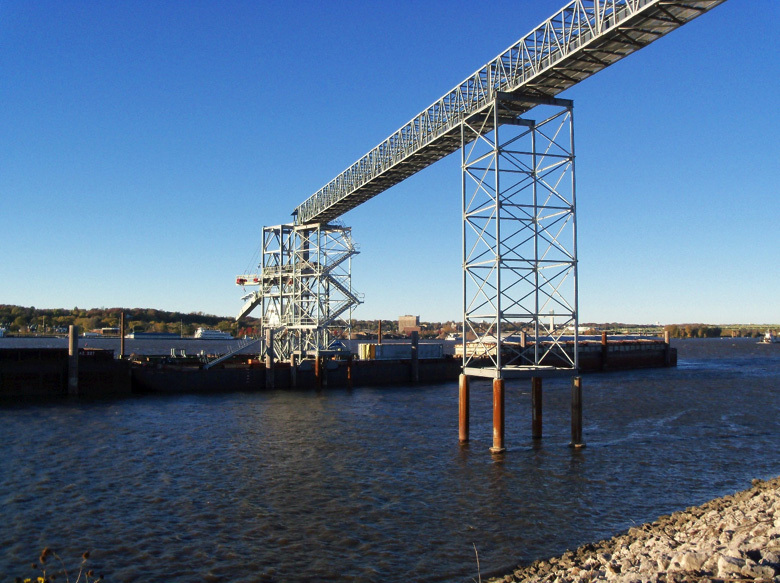 Design and build an intermodal grain transfer facility that transfers corn or beans from truck to barge. 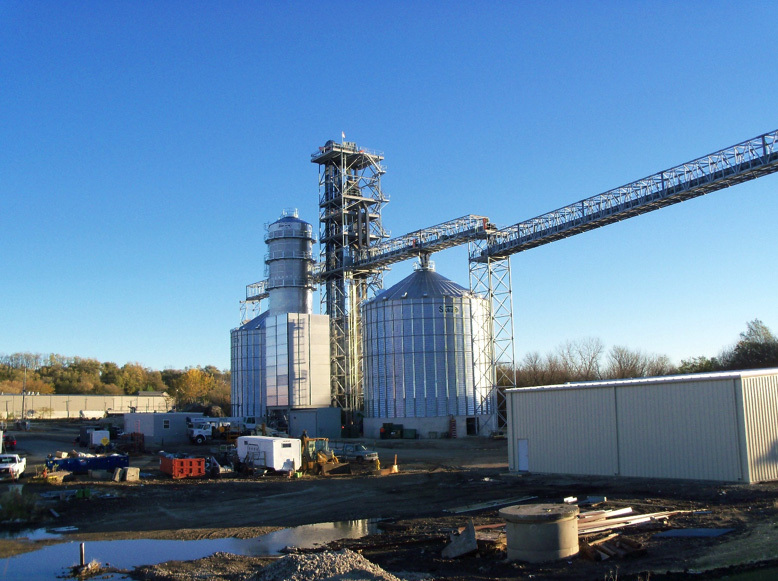 The project included several pre-engineered buildings for control houses, a masonry building to store electrical equipment and unloading facility, a maintenance warehouse, two grain storage bins, a natural gas grain drying bin, a bin to collect off specification grain, two truck scales (inbound and outbound), the complete conveyor systems to convey the grain from the offloading area to the final location (bins or barge) and a 2000 square foot office building. 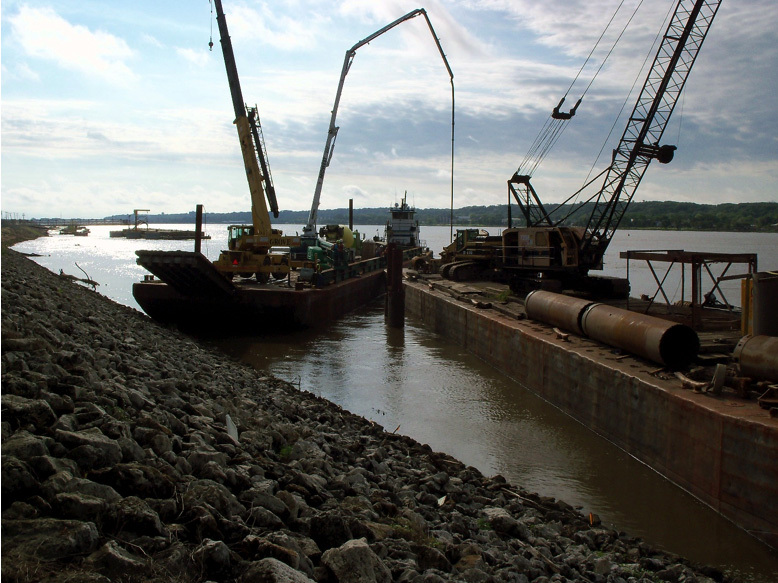 The project also included a docking system in the Mississippi River consisting of three barges that work as an offshore working dock. We installed several mooring piles and steel foundations in the water for this system.